Animal Kingdom has some of the best theming in Walt Disney World. 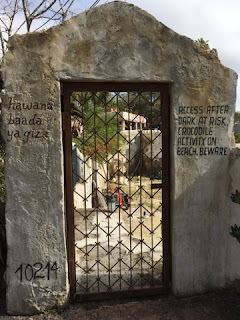 This "doorway" can be found across from the Lion King theater in Africa. It leads to a beach area that seems to be off limits due to crocodile issues.